Make floors shine like new with our advanced restoration techniques for Mexican tile flooring throughout your home. Outdoor flooring needs extra care for the extra wear-and-tear it receives from weather and the elements. Allow us to make it shine like new for you. We guarantee our results. If you are not satisfied just let us know and we will do everything in our power to make it right. The stripping and cleaning process is vital to maintaining your Mexican tile floor. Completely remove layers of old wax and deep dirt. 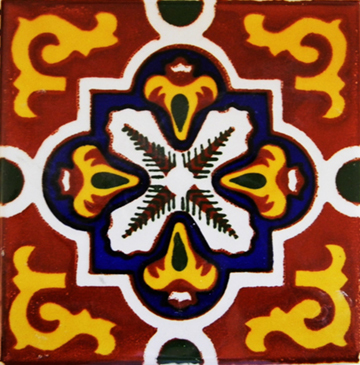 Mexican tile and terracotta are very porous tiles. If they are not sealed properly they will get worn, and look very dirty over time. 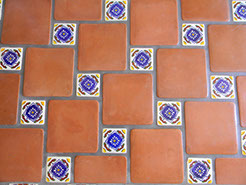 We can bring your Mexican tile or terracotta floor back to life. Scrubbing, re-sealing and polishing Mexican tile or terracottaresults in a low-gloss, semigloss or high-gloss wet look finish. 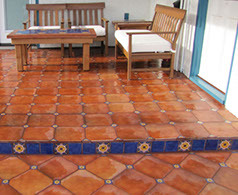 Cleaning Mexican tile and polishing Mexican tile or terracotta will often provide the desired result. If not, stripping may be necessary. Stripping involves hand cleaning of the grout and tiles with a specialized chemical to remove deep dirt buildup. Then we reseal the Mexican tile floor to maintain this new, cleaner look with proper sealing materials. 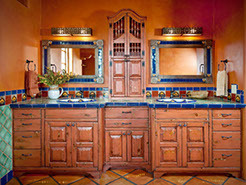 At Mexican Tile Restoration, we are experts at this process. We specialize in cleaning, sealing and polishing Mexican tile and terracotta floors. Located in Florida. 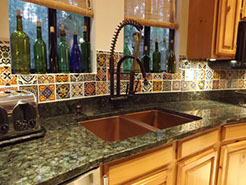 We Are Your Mexican Tile Care Specialists – Serving Central and South Florida. TRUST YOUR FLOORING TO THE EXPERTS! We are a group of highly trained professionals that make the extra effort to make sure all of the project needs of our customers are satisfied. Our continued growth and success is a result of hard work, professionalism, integrity, and commitment. Licensed, insured and bonded company that offers the best quality floor refinishing services for South and Central Florida. We offer the latest industry techniques to get all of your Mexican Tile flooring cleaning needs resolved. We use the best high pressure steam cleaners in conjunction with state of the art surface cleaners. This combination guarantees deep penetration to keep your Mexican tile surfaces looking new. "Reasonably priced, showed up ON TIME, excellent results, very happy, thank you!" "My 50 year old floors look NEW!" "My wife and I are very happy. Professional from start to finish; results exceeded our expectations!"